page 48 -- A.S.T.Co., American Shoe Tip Co., John Mundell & Co.
On the left of the card below, note the child pointing to the improvement in the new horse-drawn shoe. Presumably the "old woman" picked up all the children that fell out on her way back home. The Earl J. Arnold Advertising Card Collection - 1885. There are strong elements of magical beliefs in our regard for shoes. As the many Cinderella tales suggest, we often believe that shoes can transform us. Not only will our appearance be different with coveted shoes upon our feet, our lives will be changed utterly. With the right brand and model we will become mysteriously alluring, amazingly swift, prodigiously agile, and delightfully rhythmic. 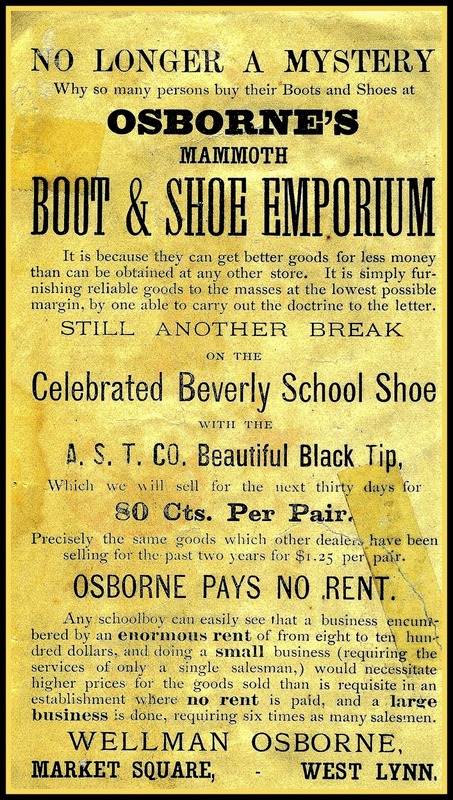 For this we are often willing to endure the pain of tortuously designed shoes. We long for the day we can first wear high heels, leather shoes, or any shoes at all. Shoes have long been involved in our rituals from home building to marrying and from coming of age to death. While athletic footwear may be portrayed as the epitome of high technology and engineering, dress shoes are better regarded as works of art. At both of these extremes shoes are ideally imbued with magic. How often are "magical beliefs" used in advertising? Magical beliefs are one of the foundations of high volume sales. As Matthew Hutson said in his Psychology Today post of 13 July 2008, Advertising is Magic, "advertising is a form of sorcery." a magical trademark, for sure! 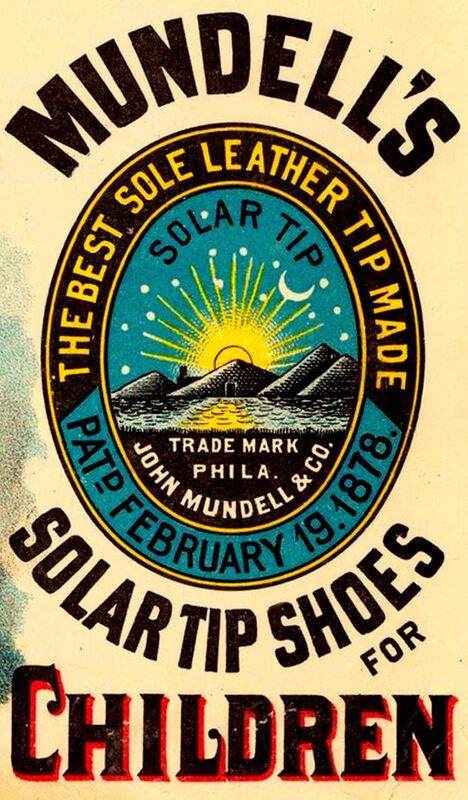 John Mundell & Co. sponsored a locally famous amateur baseball team, "The Solar Tips" (of course). Click the link above to go to the Society for American Baseball Research site.